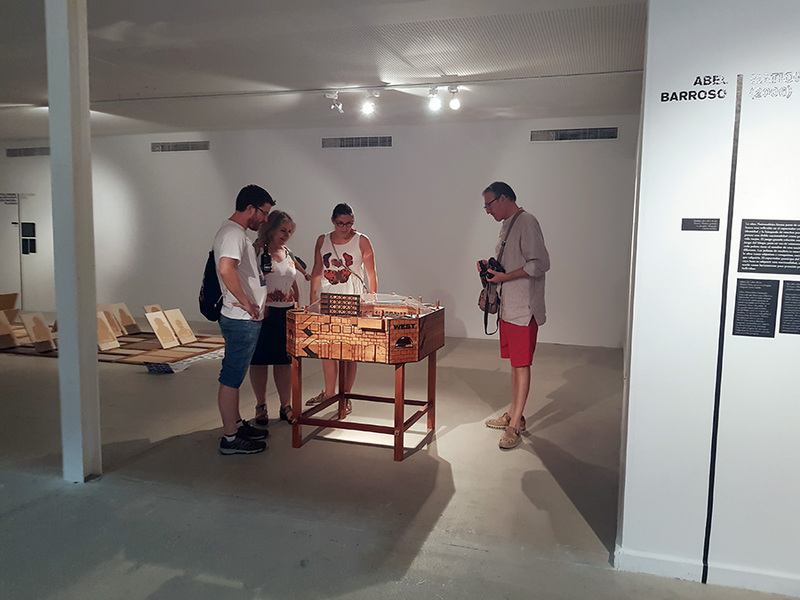 NEGOCIO at el Centro Cultural Las Cigarreras de Alicante is an ambitious attempt to present an archive of the creation of games as art largely over the last twenty years, though one work – “White Chess” by Yoko Ono dates back to 1966. 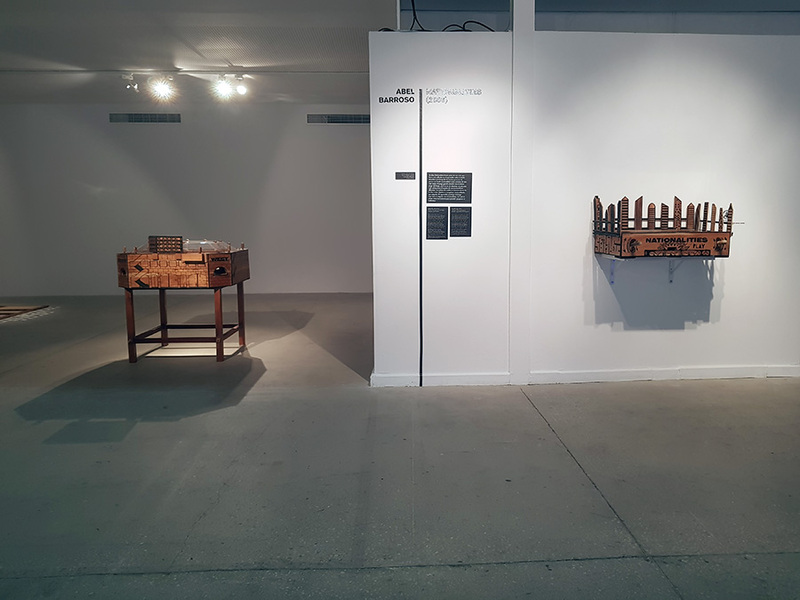 The majority of works have been created in the 21st century. 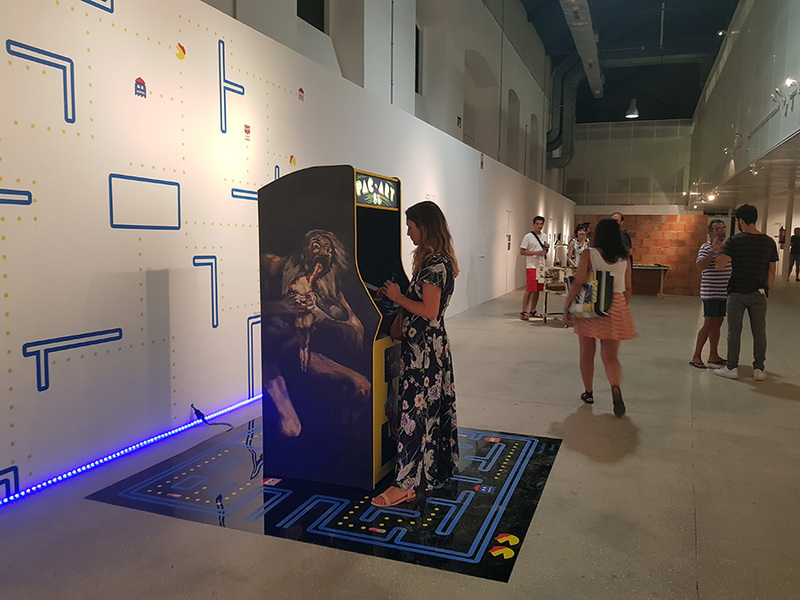 The exhibition presents a mix of digital and analog games and the vast majority of the exhibition is interactive – allowing visitors to play the games on exhibit as intended by the artists. 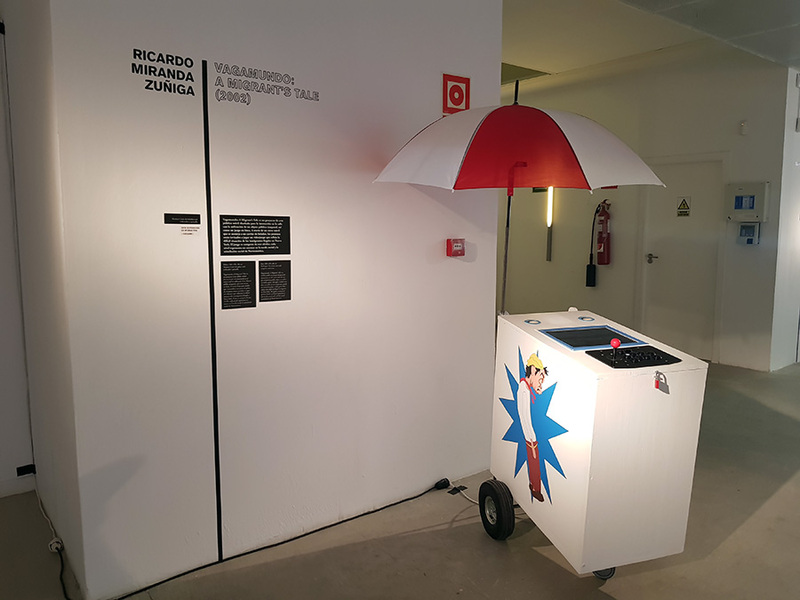 I’ve been honored with the inclusion of VAGAMUNDO: A Migrant’s Tale (2002) included the exhibition (pictured above). 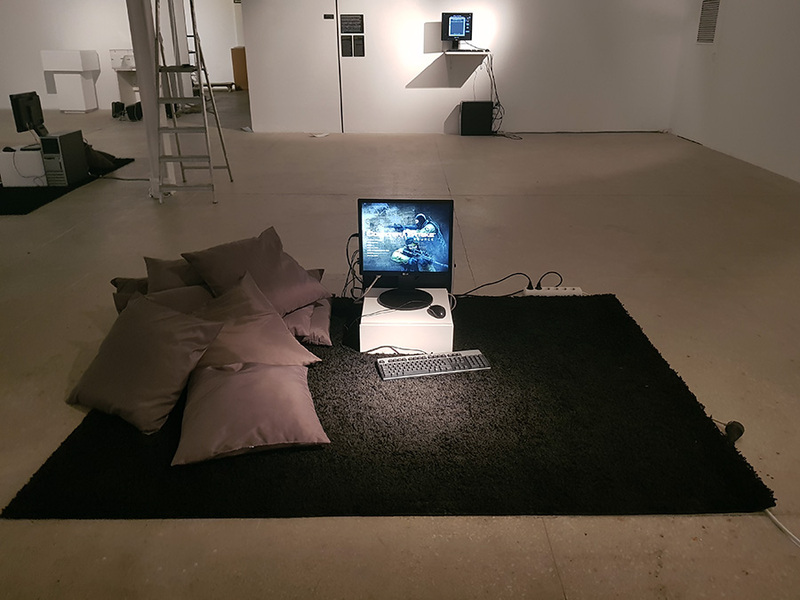 This is a sculpture and video game originally presented on the street that unfortunately is as timely today as 16 years ago due to the Trump administration’s stance regarding immigration. 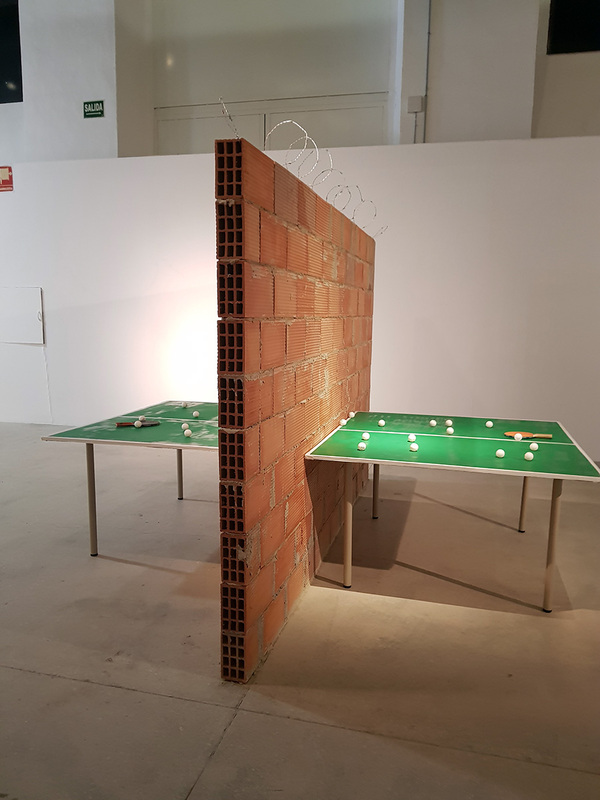 The origin of the game, is lost in the memory of time; the game is perhaps as old as the very existence of the human being on earth. 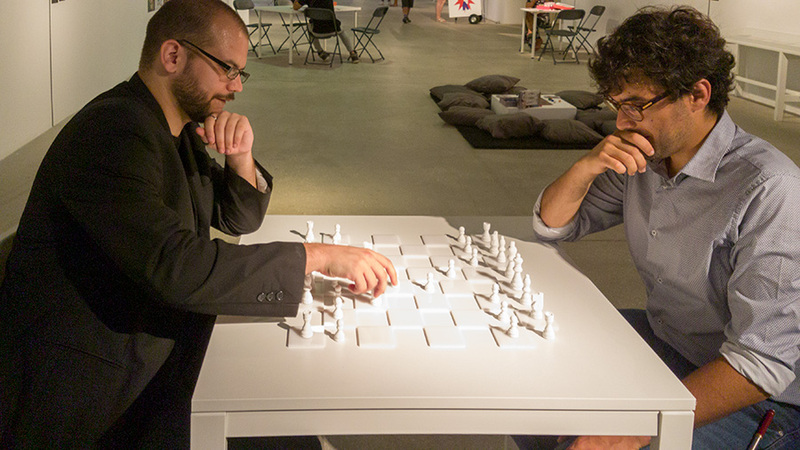 But what does the game transmit to us today apart from its playful appearance? 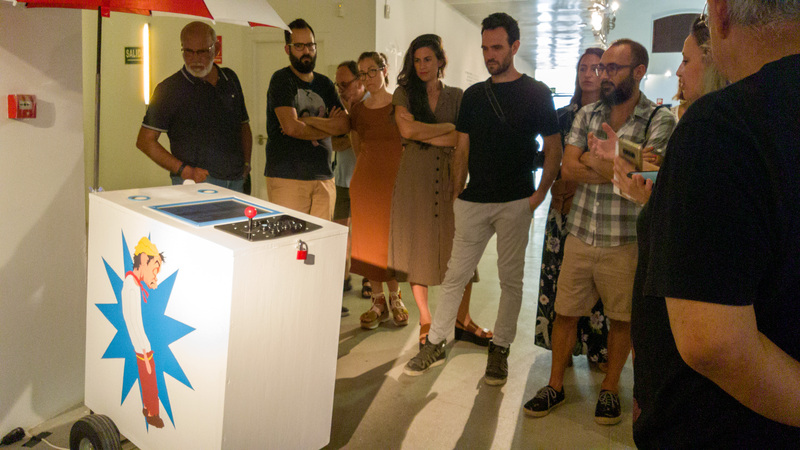 Can art use it as a tool that reflects on challenges and social reality? Does it also work as an act of criticism? 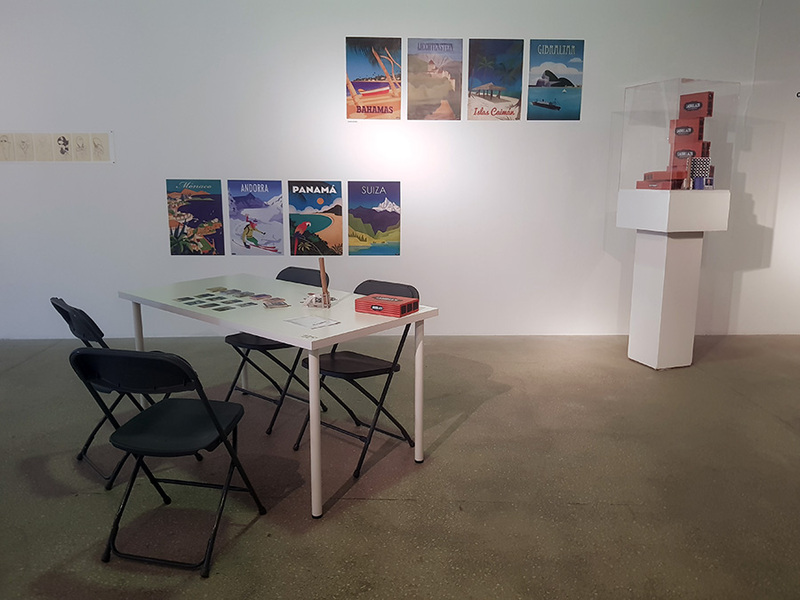 This exhibition does not pretend not to answer these questions, since it would be too ambitious, but it is formulated so that the spectator participates and, using the works of art as a guide. 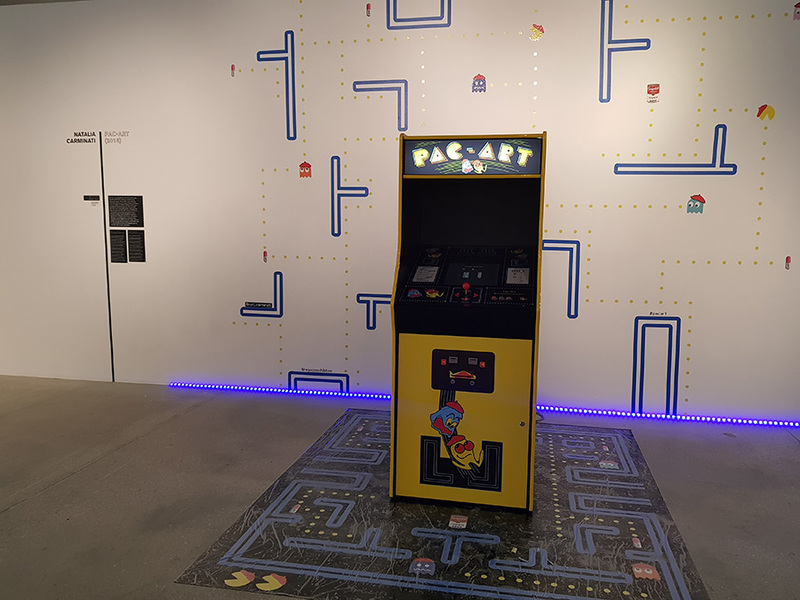 The exhibition investigates in the multiple planes what may unfolds in games as art. 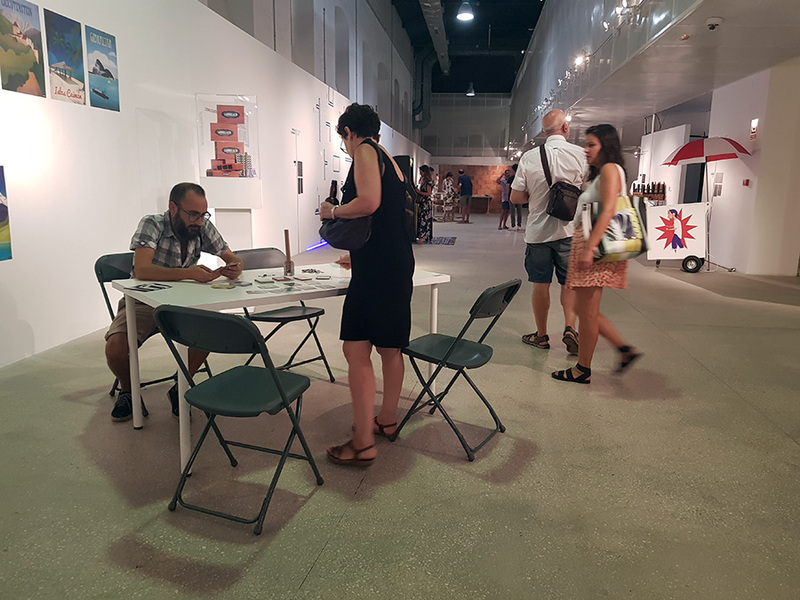 Below are a selection of photographs documenting the exhibition. 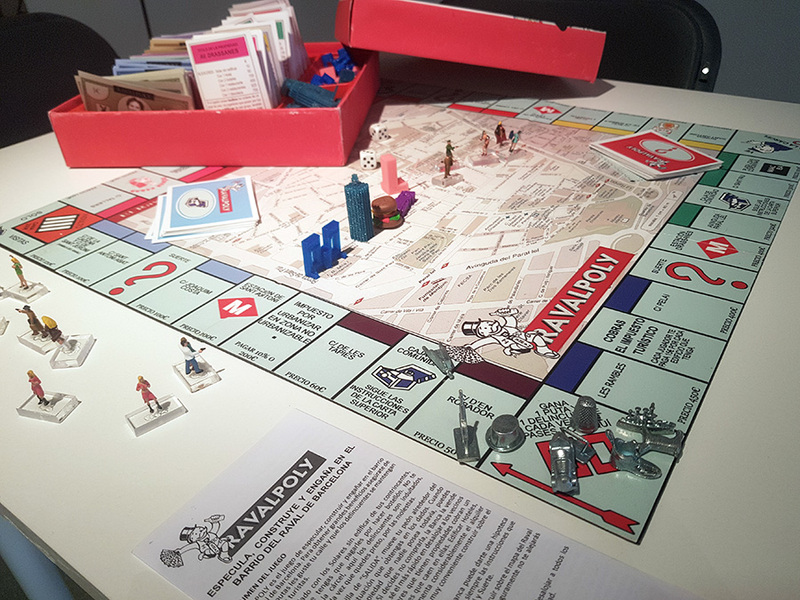 Ravalpoly by Alba Refulgente – a game of real estate speculation in Barcelona that re-contextualizes the game Monopoly.